We raised over $10,000 and had an amazing experience performing all over Haiti. If you are interested in reading more about our trip, you can peruse my journals here, and see even more on the CWB website. This has been a massive and wonderful undertaking, and we are so thankful for everyone's support. Haiti, and many other CWB projects, are ongoing. 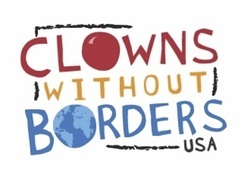 If you are interested in donating or helping out in anyway, please send an email to circusoftheworld@gmail.com.